If you let friends, guests or tenants use your swimming pool or whirlpool without signing a Waiver form first, you are leaving yourself open to being sued if anything goes wrong. 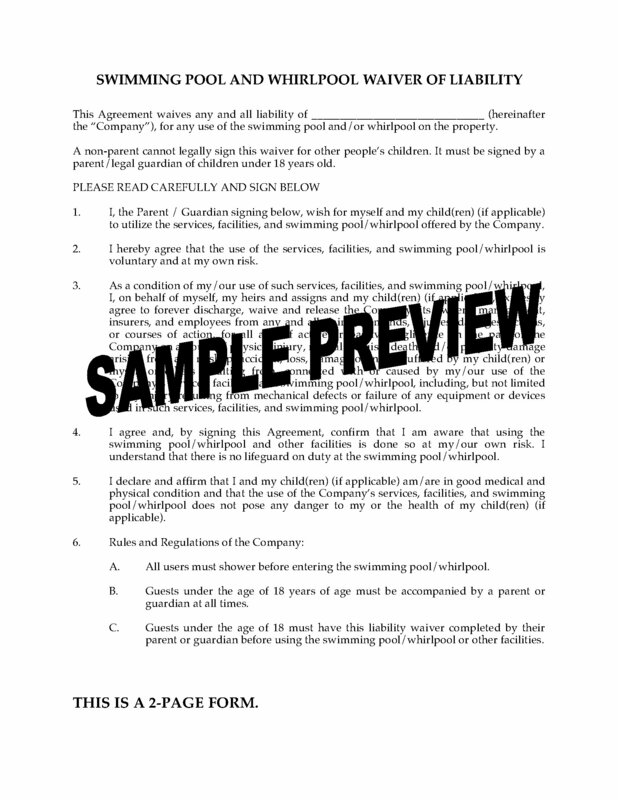 You should have everyone sign this Waiver of Liability before allowing them to use the pool. The person signing the form must be an adult. If children are using the swimming pool area, the form must be signed by a parent or legal guardian. The guest assumes all responsibility for any risks associated with using the swimming pool or whirlpool (including risk of injury or death) and agrees to indemnify the owner against any claims or actions arising from their use of the pool. The guest also agrees to abide by the rules of the pool, and acknowledges that he/she is aware there is no lifeguard on duty. The Swimming Pool and Whirlpool Waiver of Liability form can protect you from lawsuits for injury or even death. Buy and download your copy now. Do you offer prenatal fitness, yoga or exercise programs? Get every participant to sign this Fitness Program Waiver and Release of Liability form for pregnant women. Protect your business and its employees against claims arising from injury or death of a pregnant woman or the unborn child that could be associated with the woman's participation in the program. The participant releases the fitness facility from any and all liability. The participant acknowledges the risks associated with the program and states that she has obtained the permission of her doctor to take part in the fitness â„ exercise program. This is a reusable legal form. Buy it, download it, customize for your business - use it as often as you require. The Fitness Program Waiver and Release for Pregnant Women can help protect your business against expensive legal fees defending a lawsuit. 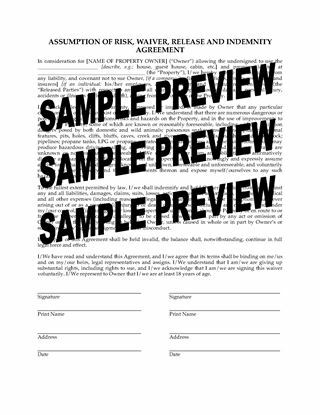 Before you start a fitness regimen with a client, get them to sign this Waiver and Release form. 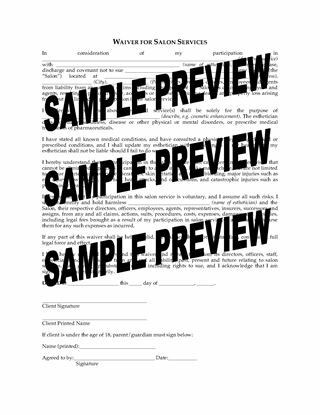 This release form is for gyms, fitness clubs, personal trainers and facilities in the U.S. that offer fitness and exercise programs. Every participant should sign the form before they start the program. The participant releases the facility, its directors, personal trainers, coaches, employees and insurers from any and all liability for personal injury or death resulting from his/her participation in the program. The participant assumes all risks and waives his/her rights to file any legal claims with respect to injury (including death), loss or damage suffered as a result of such participation. Losing an injury lawsuit could cost you thousands of dollars. Don't take the risk - get the USA Fitness Program Waiver and Release Form.